When looking for the right partner for a business print order, many people obsess endlessly over the idea of getting the best printing quality, paying little to no attention to other features. That can quickly lead to disaster if you’re not careful though – there is much more to a good printing job than the raw quality of the final output, and you have to learn to recognize the good potential partners on the market, and weed out the bad ones. Here are some extra features you might want to consider in your search, which can have a strong impact on the final result. This one might seem obvious, but sometimes people are willing to make sacrifices if it means getting a better deal, and unfortunately, the speed of delivery is one of the first things to get compromised in these cases. You might not think that it matters too much if you get the order a day or two late, but this can quickly stack up over a short period of time, putting you in a disastrous situation where all your promotional campaigns are falling behind schedule due to no fault of your own. If you are planning to place lots of orders in the foreseeable future and you’d like to make sure that you keep getting a good deal on all of them, you should discuss potential bulk discounts with the company before starting to work with them. Give them a rough estimate of how much you’re going to order and discuss some potential prices for a volume like that. Don’t be afraid to haggle if you know you’re about to send a lot of business towards that company, they are certainly going to appreciate the prospect of a reliable, steady client, and might be willing to back down on their prices a little bit. 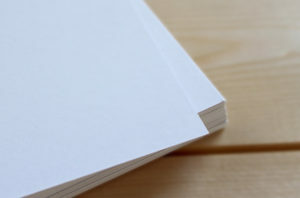 Another feature that sometimes gets overlooked, you should pay attention to the kind of paper your materials are about to get printed on. Some printing companies will make it seem like you have no choice in this regard, when that’s quite far from the truth. If you don’t want to find yourself stuck and confused trying to figure out which company to work with, just give us a call and we’ll sort things out for you. Working with the best printer in NYC can make all the difference in your projects. 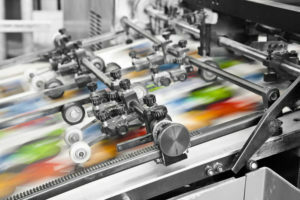 When looking for the right partner for a business print order, many people obsess endlessly over the idea of getting the best printing quality, paying little to no attention to other features.